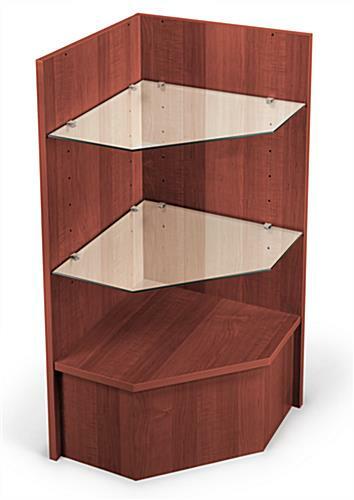 This economy corner display case is a standard 38" tall retail fixture that features a rich cherry finish laminate over economical particle board construction. 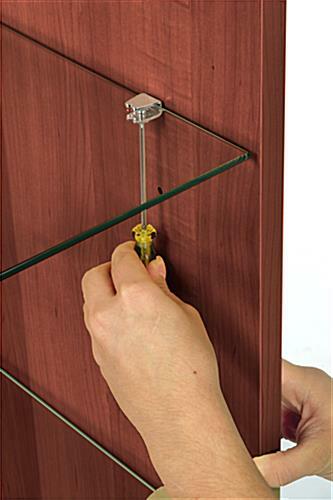 Each open front cabinet has two tempered glass shelves that can be adjusted to a variety of heights as desired. 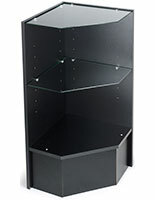 The stylish corner display case can be used alone as a freestanding retail cabinet or with other modular units to create a custom countertop configuration. The triangular design is ideal for anchoring two larger countertops in an angled arrangement for maximum visibility. 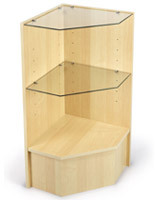 The open front display case design allows customers free access to merchandise. 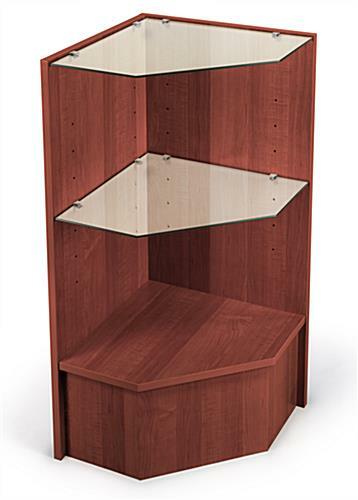 This stylish retail cabinet with adjustable tempered glass shelving is an easy to set up, attractive alternative to solid wood construction. 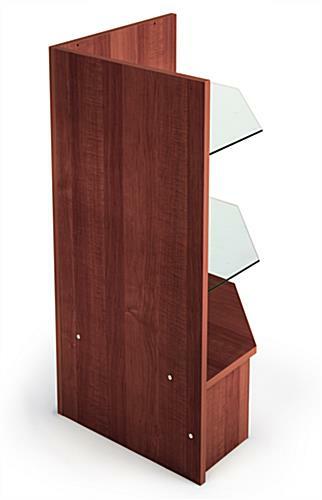 This 38" tall cherry finish case can be used in conjunction with all standard height fixtures, and matches perfectly with other models from the versatile MRC line of cash wraps and merchandise showcases. The open-access design is ideal for attracting customer attention to point-of-purchase and impulse items during checkout.